The spines of sea urchins are largely made of calcite, which is normally a fragile and highly brittle material. Yet, the spines of sea urchins are highly durable when compared to just the raw material. The cause for its high durability is the manner in which nature upgrades materials by adopting a brick wall-form architecture. These are sea urchin spines. CREDIT: University of Konstanz. The Physical Chemistry research group, led by Professor Helmut Cölfen, was successful in producing cement at the nano-scale by adopting this “brick and mortar principle.” At the time of the process, macro-molecules with the ability to function like mortar—by securing the crystalline blocks to each other on the nano-level, where the blocks assemble themselves in an orderly way—were identified. The goal of the group is to render cement highly durable. The outcomes of the research will be reported in the Science Advances journal on December 1, 2017. “Our cement, which is significantly more fracture-resistant than anything that has been developed thus far, provides us with completely new construction possibilities,” stated Cölfen. A pillar built by using this cement can be constructed up to 8000 m tall—that is, 10 times as tall as the tallest building at present in the world—before the material at the base of the building would be smashed by its weight. Standard steel, with a value of 250 MPa, could only attain a height of 3000 m.
In the field of nanoscience, brick wall-form architecture is comparable to a mason’s work, where each brick layer being laid is held firmly by using mortar. The basic concept is to layer hard and soft materials alternatively. This is precisely the concept adopted by nature to make the spines of sea urchins very tough. Upon applying force to the brittle calcite, its crystalline form is broke, but then the energy is conveyed to a soft disordered layer. As the material does not have any cleavage planes which can get ripped, it avoids further breakage. This structural principle can be verified by viewing a thin section of the spine of a sea urchin: a soft amorphous area encloses the crystalline blocks in an ordered manner. In the case of sea urchin, calcium carbonate is the material. Bones or mussel shells are formed in a much similar manner. “Our goal is to learn from nature,” stated Helmut Cölfen. The scientist has been honored a number of times for his trailblazing results in crystallization, for instance, when he received the 2013 Academy Prize from the Berlin-Brandenburg Academy of Sciences and Humanities. Bionics or biomimetics is the terminology used for adopting natural phenomena to achieve technical advancements. Cement by nature has a disordered structure in which every component gets affixed to all the others. This implies that if cement has to be really benefit from enhanced stability offered by brick and mortar construction, its structure must be reorganized at the nano-scale. Helmut Cölfen depicts the process as “encoding fracture-resistance at the nano-level.” Here, it means recognizing a material that gets secured only with cement nanoparticles and nothing not any other component in the cement. Nearly 10 negatively charged peptide combinations were recognized which had the ability to both get bonded to and secure materials well. The researchers partnered with the University of Stuttgart to use an ion beam under an electron microscope to slice a bar-shaped micro-structure from the nano-form cement that with a size of 3 µm. Then, a micro-manipulator was used to bend the micro-structure. Upon being released, the micro-structure came back to its original place. Mechanical values can be computed by analyzing the micro-structure’s elastic deformation. Using these computations, the enhanced cement accomplished a value of 200 MPa. When compared to this cement, mussel shells (the gold standard in fracture-resistance) attain a slightly greater value of 210 MPa. The concrete usually used at present has a value of 2-5 MPa. Due to the presence of higher amounts of calcium in water, mussel shells and the spines of sea urchins are formed of calcite. People have much better construction materials than calcite. 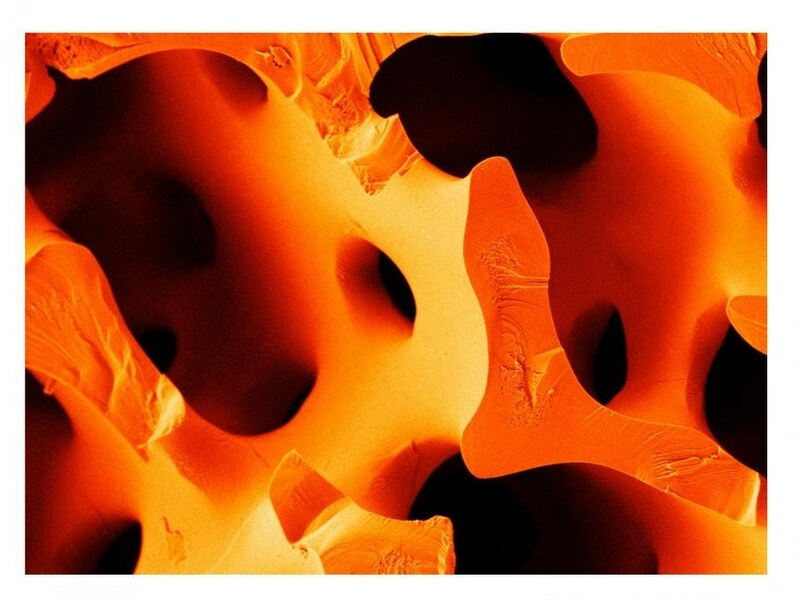 If we succeed in designing the structures of materials and reproduce nature’s blueprints, we will also be able to produce much more fracture-resistant materials - high-performance materials inspired by nature. Professor Helmut Cölfen, Leader of the Physical Chemistry research group that undertook the research.